Checkout Reekado Banks And His 19Year Old Girlfriends Goes Cosy! 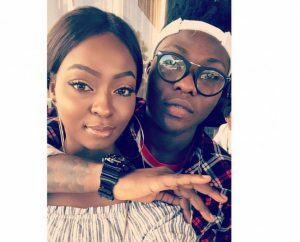 Mavin record star, Reekado Banks has been showing off his babe, Emem Inukim on his social media pages for awhile now. Reeky boy and his 19-year-old Akwa Ibom bae spent time together in the states where they have been enjoying cosy moments together. Reeky has been been sharing the wonderful moments with his fans on Instagram. The Spotlight singer referred to Emem, a medical student as his favorite pet in one of the photos.